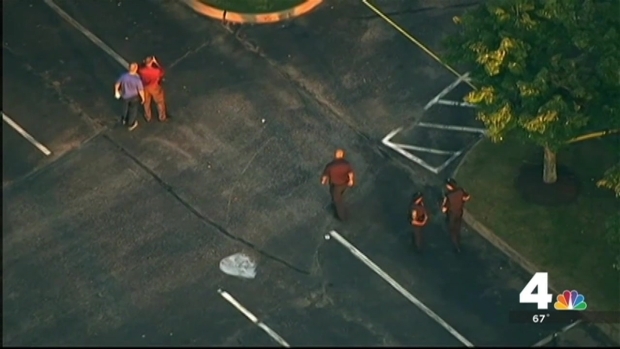 A man shot and killed outside a Bowie, Maryland, tennis and swim club Tuesday apparently was trying to break up a fight in the parking lot involving his son, Prince George's County Police said. Police have an arrest warrant on a first-degree murder charge for 19-year-old Deon Eugene Warren in the fatal shooting of 39-year-old Mitchell White. Officers responded to the rear of the Belair Racquet and Swim Club in the 12700 block of Midwood Lane shortly after 5:30 p.m. Tuesday, police said. Officers found White lying on the ground unconscious and suffering from trauma to the upper body. 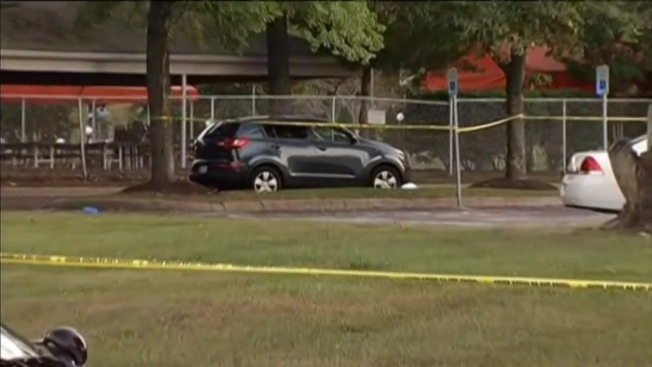 News4's Darcy Spencer reports live from Bowie, where a man was shot and killed outside a tennis and swim club Tuesday afternoon. White was pronounced dead at the scene at 6:04 p.m.
Police interviewed several witnesses. They said that when White went to the area to pick up his son, he discovered his son was involved in a fight with another unidentified person. When White tried to break it up, Warren shot him, police said. White's son attends nearby the Bowie High School, but no connection between the fight and the school has been established, police said. The fight stemmed from a party last week when two groups of kids got into an argument. "We're still trying to determine what the cause of the dispute was," said Chief John Nesky of Bowie Police. Witnesses told News4's Darcy Spencer they saw a lot of younger people scatter after the shooting. "We heard a shot, and then we saw the different kids running in different directions," said a witness. "It's frightening, upsetting, shocking," said the witness. "Definitely hard to see." Parents told News4 there have been minor incidents in the parking lot when teens have been hanging out after school, but never a shooting. "It's a shortcut to the school from our houses over here, and I'm really concerned about my kid going to the school there, too," said a neighbor. Late in the night, a four-door Chevy Malibu was towed from Bowie High School parking lot near the scene. Police are not saying how it's connected to their investigation. Extra security and a police presence was planned for Bowie High School on Wednesday, said a spokesperson for Prince George's County Public Schools.